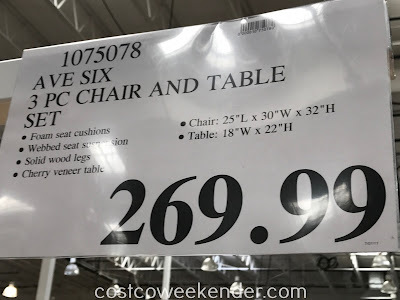 We have seen the Avenue Six 3-piece Fabric Chair and Accent Table Set at Costco in the past. But the chairs differ in their upholstery print and the table is slightly different as well. 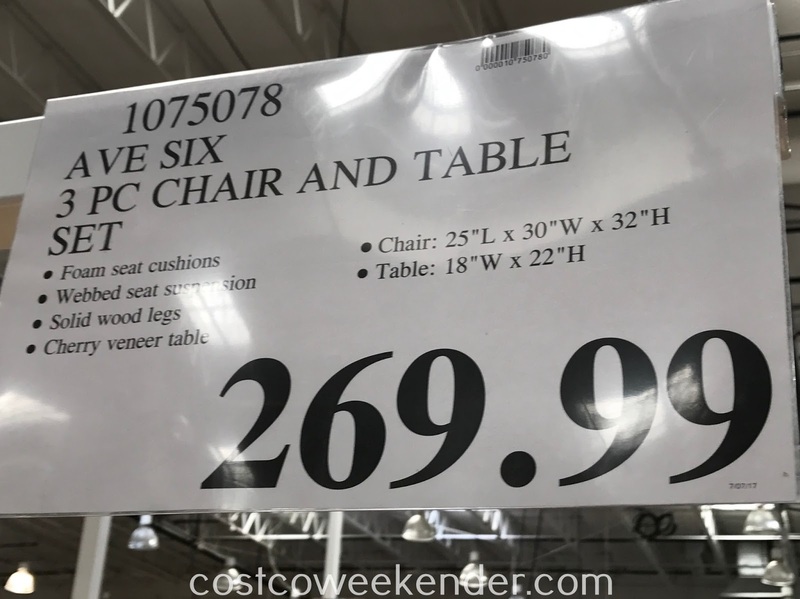 It's good that Costco continually changes the design to give it a fresher look every year. But just like before, you get a great deal for under $300. At such a cost-effective price, you get 3 pieces of furniture to complement the couch and coffee table that are already sitting in your living room. You may have an extra large living room which a sofa and chair can't fill up entirely. You may just be looking for that one or 2 pieces to complete the look. Or maybe you're in the market for a comfortable chair on which to read a book or just relax. 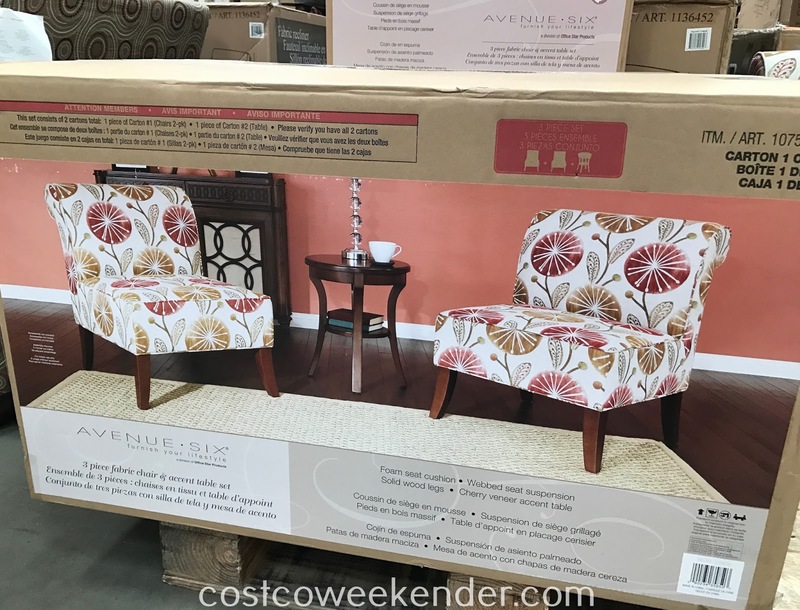 I can see the Ave Six 3-piece Fabric Chair and Accent Table Set in front of a large window in a living room, overlooking the backyard or patio. 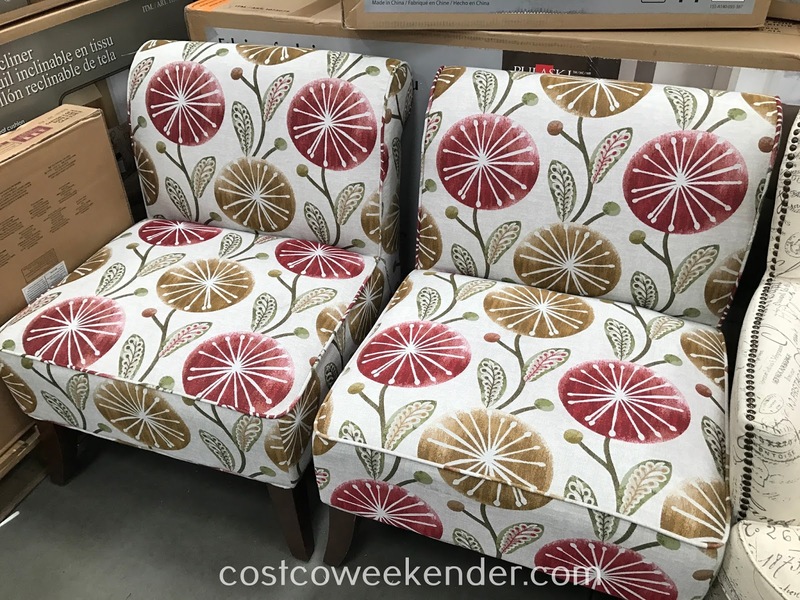 But I'm sure you'll be able to find the perfect space for the Ave Six 3-piece Fabric Chair and Accent Table Set in your home.